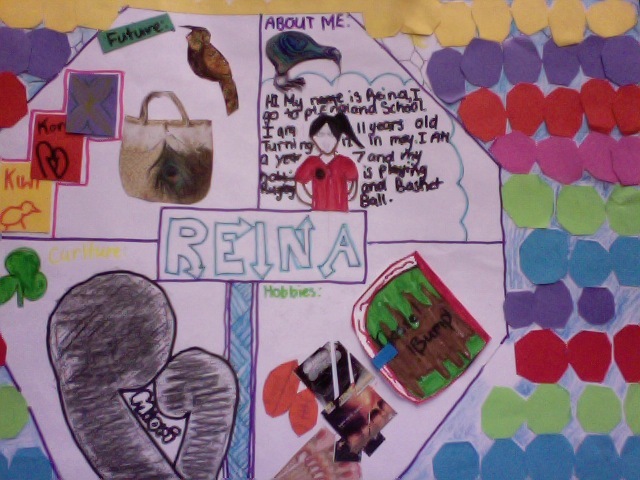 This year, Room 20 had to make a Personal Shield about some of our Information about our self's in the future. What my Personal Shield looks like and what is on it? 1.Background-Colourful Because I couldn't choose a fave colour. 3.Culture:Koru and Flax represent my culture. 4.About me:Portate-Red and Black Clothes-brown face-black hair.